"You are Being Called to a Higher Season"
This is a prophetic word from Cindy Jacobs. You can listen to the full word spoken by Cindy Jacobs on Generals.org by clicking here. As I have been seeking the Lord for a word to encourage your heart, this is what I received: this is a higher season. There is such an anointing on those words - a higher season. Many people reach a place in their lives where they get stagnant. But the Lord would say to you, "I don't wish you to be stagnant. I want you to be ever advancing My Kingdom. I want you to be ever advancing in your destiny. Some of My children reach a place of spiritual stagnation - you are not growing personally, you're not growing in your destiny, you're not moving towards a destiny. And you just say, "Well, that's all there is.'" The Lord also shows me that this is even a higher season for little children. In past generations, not much was spiritually expected of children because they were just little kids. But the Lord says, "No, this is a higher season for children. It's a season of dreams and visions." I know some of you would say, "Well, that's not where I've been. That's not the height of the position where I've been or what I can do." But the Lord says, "This is a season where I would cause My people to volunteer in the day of power. If some of you will do that, look around. I'm going to take you to a higher season. When I come, I will say, "Did you reach the higher season, or were you just content with a good life or the acceptable life, but not the perfect life in Me?' So reach out because I want to give you the perfect life and a new season, a higher season." 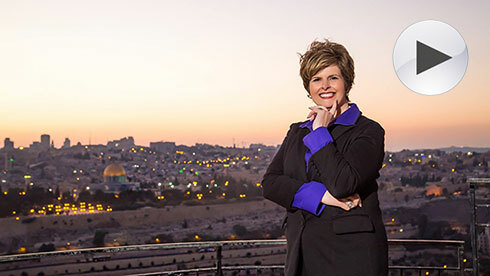 Cindy Jacobs is an author, speaker, and teacher with a heart for discipling nations in the areas of prayer and prophetic gifts. She and Mike — her husband of 41 years — co-founded Generals International in 1985. She is a respected prophet who travels the world, ministering not only to crowds of people but to heads of nations. Her first calling is and always will be prophetic intercession.